Spring stuff is just fun. The colors are so bright, and the designs are so cute. I mean, c’mon. Where are you going to beat bunnies and chicks? 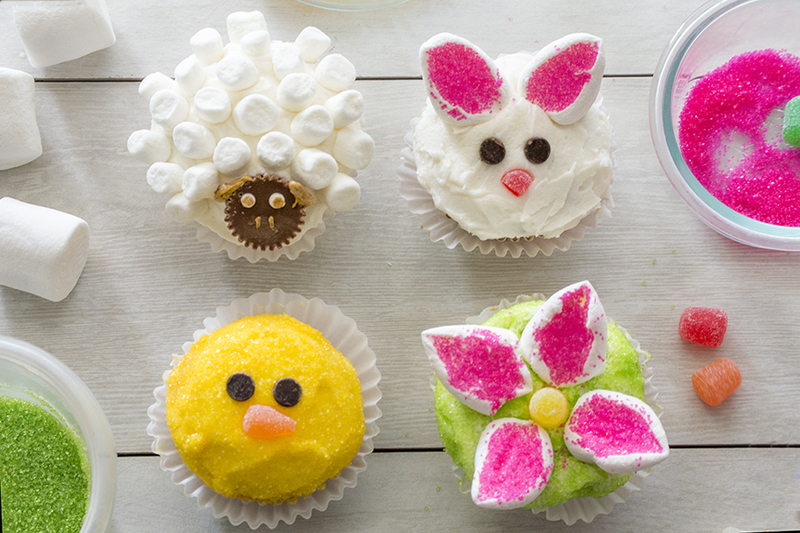 These cupcakes are designed to be bright, fun, and super easy. What I had in mind in creating these designs was to make super simple cupcakes that kids could make. My son is only two, but I test drove each design with him. Short of cutting the marshmallows/gumdrops and doing the piping on the sheep, he was able to do all of this. I figure having an adult pre-cut the marshmallows would fix that. If you were doing this for a group, you could cut several marshmallows up and have them in bowls ready to go. It would make assembly a breeze, and then even young kids can make these! You can use any cake and frosting recipes you’d like, but I stick to my old doctored cake mix and buttercream, which I’ll include below (P.S. 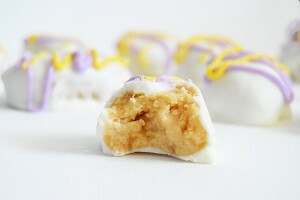 – These are a really great way to use up the leftover cake batter from making the chick cut-up cake. Hint. Hint.). Spoon into muffin tin filling cups 1/3 full. Beat together butter, shortening, and vanilla. Add in powdered sugar 1 cup at a time until well mixed in. Add water or milk 1 Tbsp at a time until frosting reaches desired consistency. As for decorating, I went ahead and made a tutorial for each design. Scroll on through and pick a few to try. They’re all a blast! 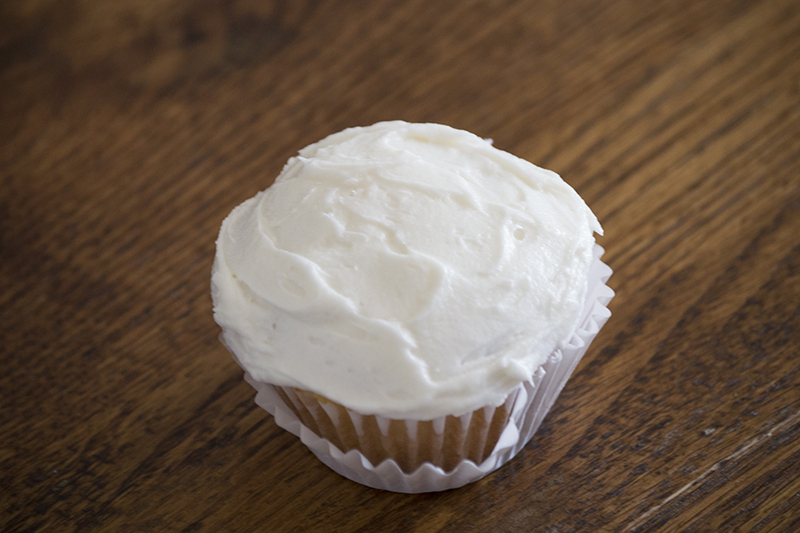 Start with a white frosted cupcake. 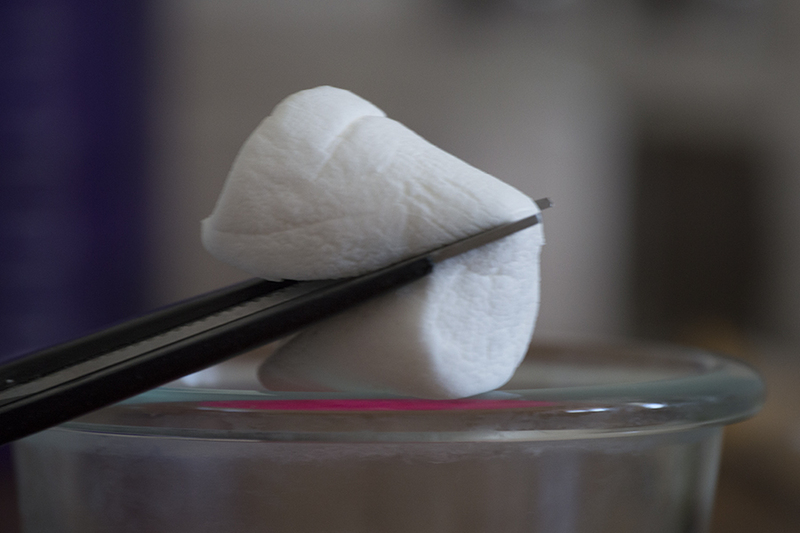 Next, take a full-sized marshmallow and cut it in half diagonally. Dip the sticky cut halves into a small bowl of pink decorating sugar. 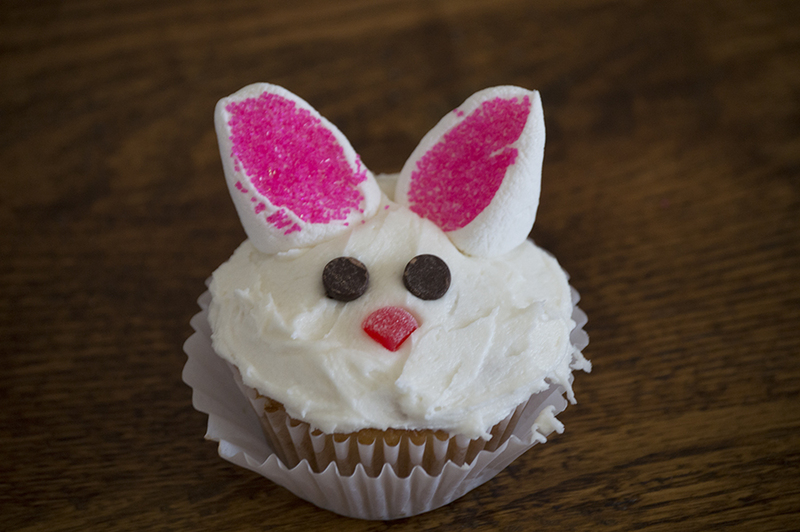 Stick them on the back of the cupcake to make ears. Then add a two chocolate chips for eyes, and cut a triangle from a gumdrop for a nose. Voila! 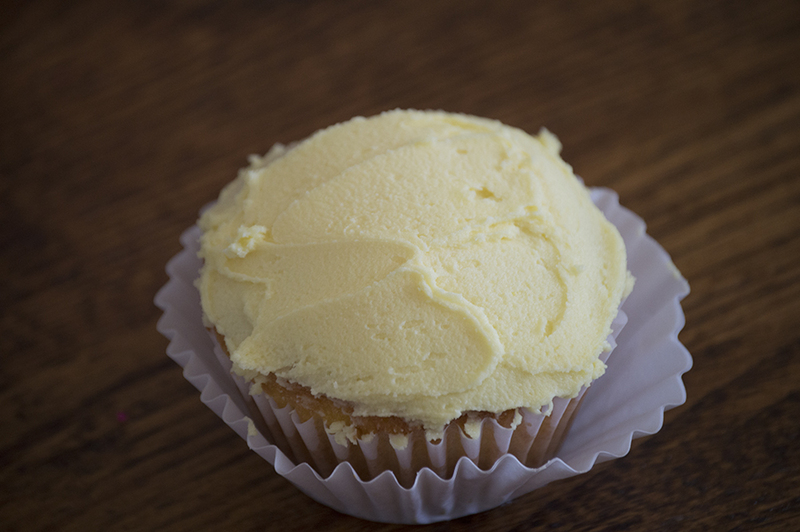 Start by frosting your cupcake with yellow frosting. 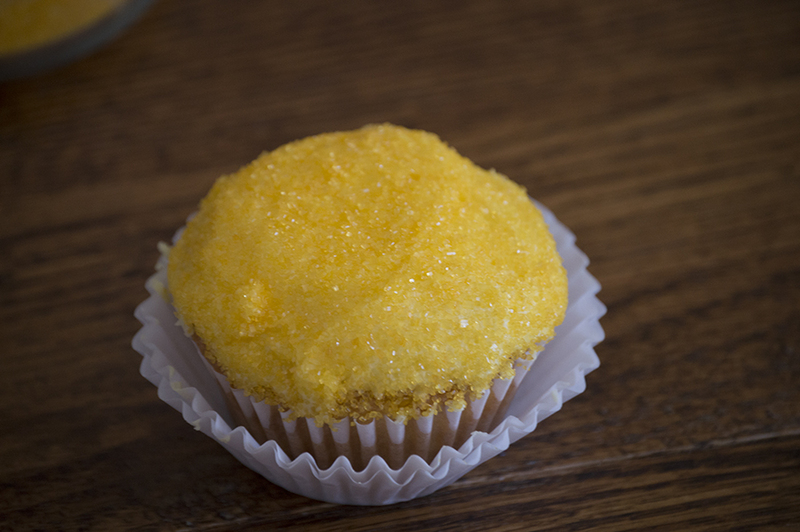 Turn the cupcake upside down and dip it into a bowl full of yellow sugar. Move the cupcake around to make sure the top is completely covered with the sugar. 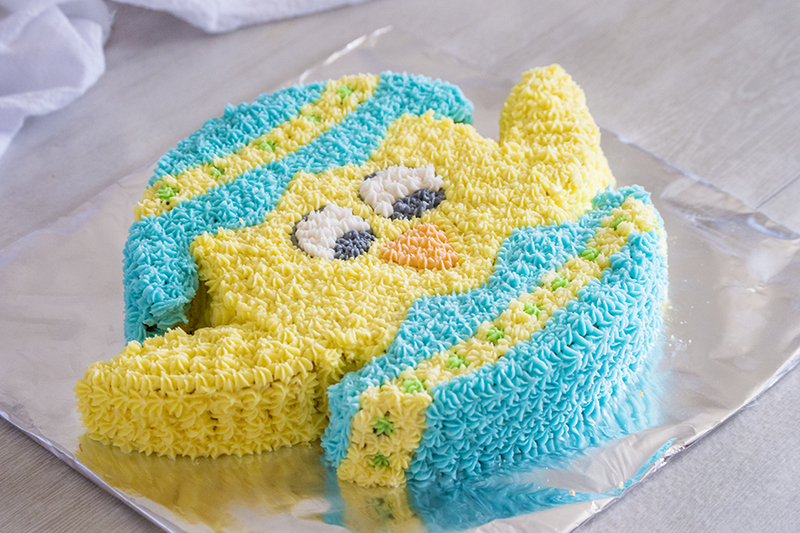 Now add the chocolate chips for eyes and cut a triangle from the gumdrop to make a beak. That’s it! 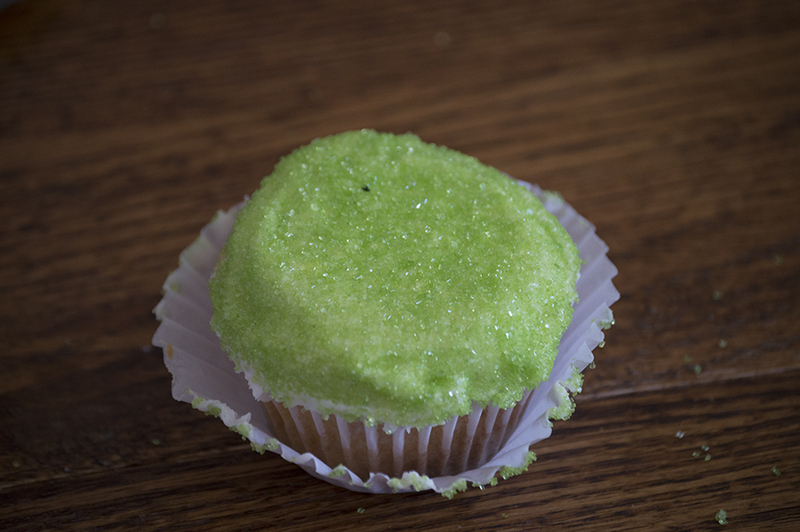 Start by frosting your cupcake green. 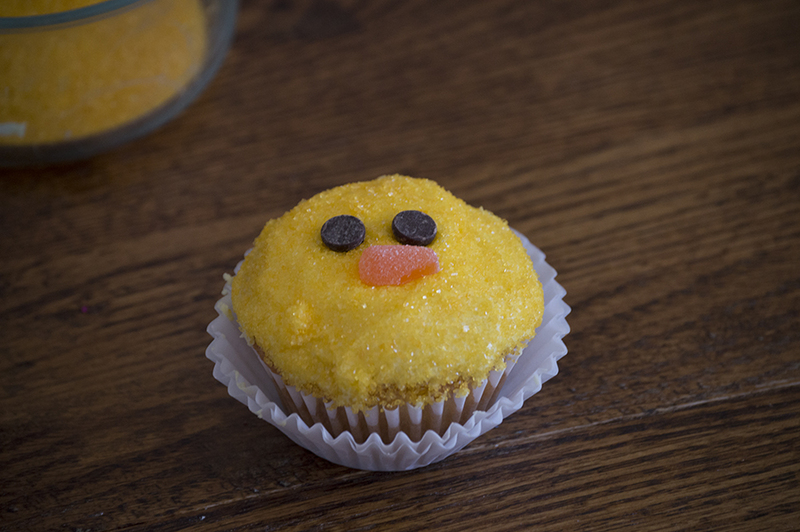 Like with the chick, turn it over into a bowl with green sugar and move the cupcake around until the top is covered with sugar. 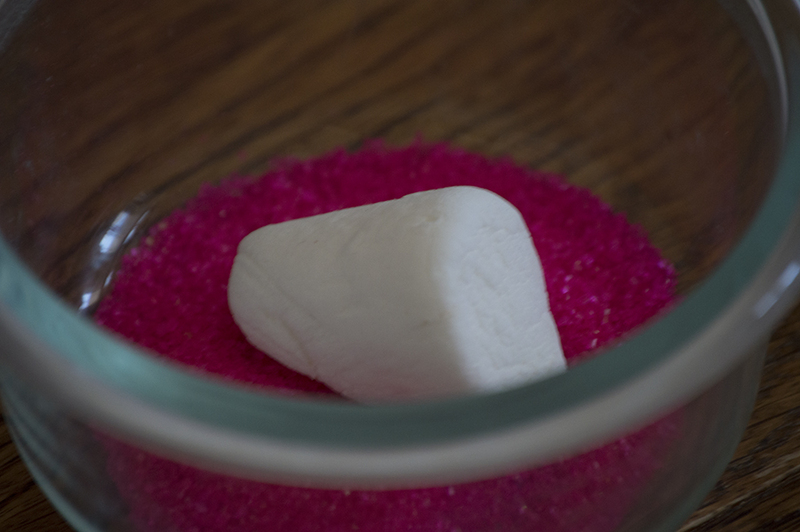 Cut two marshmallows in half diagonally and dip the cut sides into pink sugar. 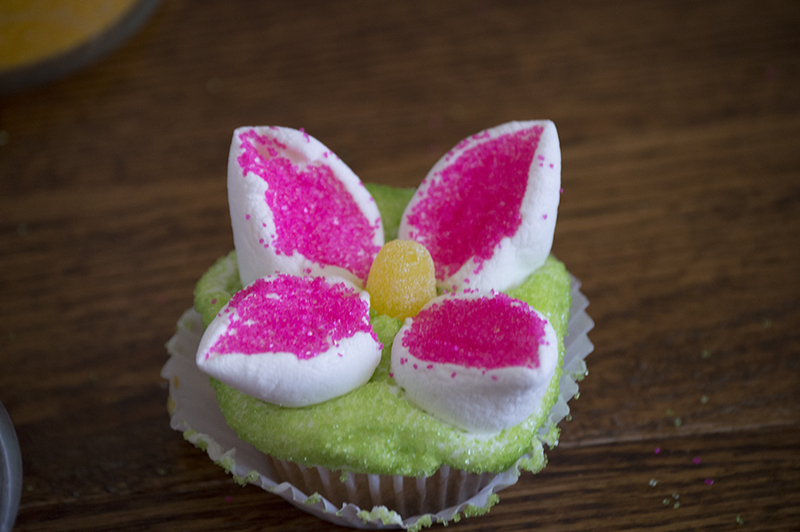 Position the marshmallows like flower petals on the cupcake. Press the gumdrop into the center and you’re done! 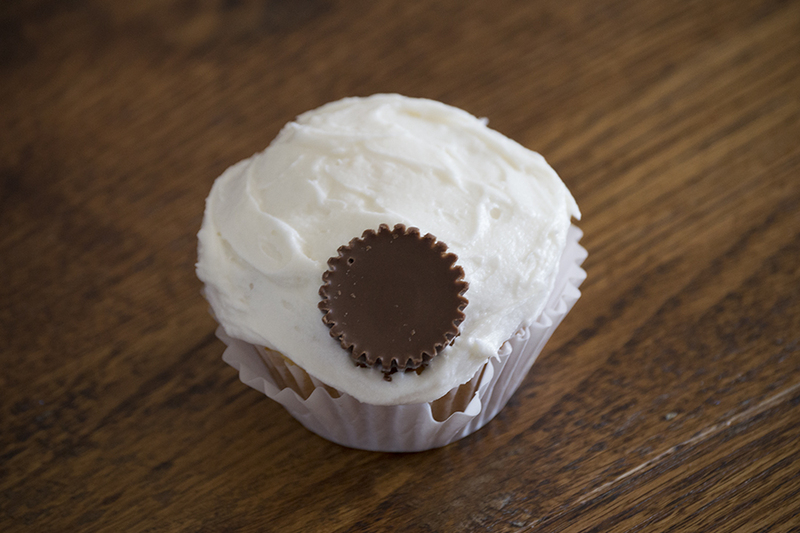 Frost a cupcake with white and press the Reeses cup into the front of the cupcake. 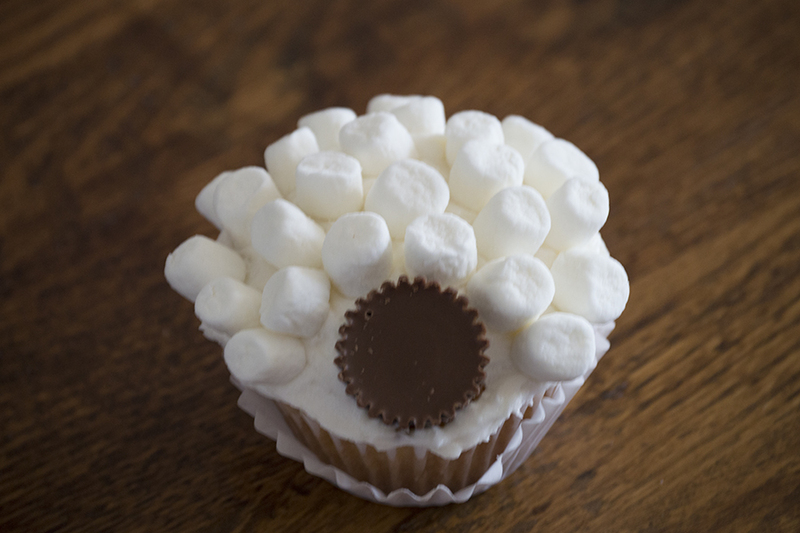 Press mini-marshmallows around the entire top of the cupcake. 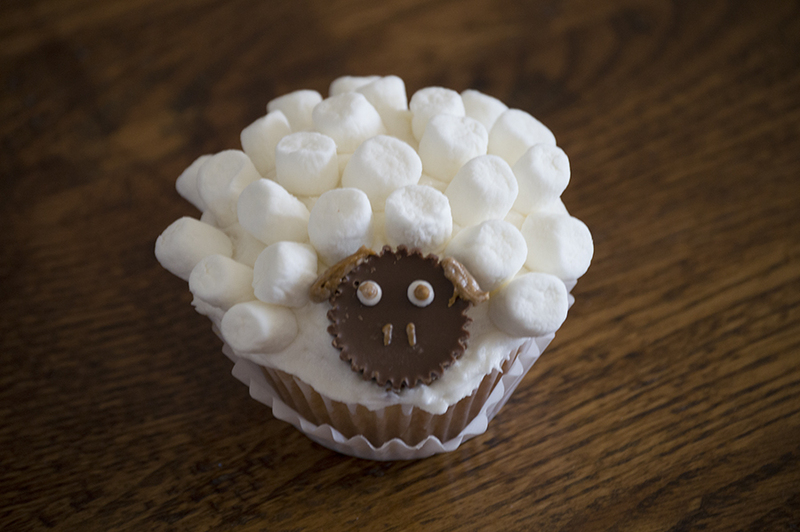 Using brown and white frosting, make a face on your sheep, and that’s all there is to it! See? Super easy! Now grab some marshmallows and colored sugar and get to decorating! 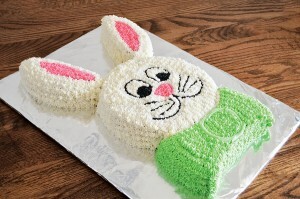 Looking for more easy Easter treats? Check these out! Thanks for the kind words! 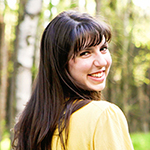 My theme is actually one my husband designed for me. Certainly pays to have a web developer around the house 🙂 Good luck on your search for a theme. There are so many good ones out there!